Sahti is the traditional beer of Finland. The popularity of the drink waned after the wars, obviously the prohibition of 1919 – 1932 didn’t help. Today, sahti enjoys a small-time revival on the craft brew bandwagon, even on a commercial scale. But at its roots, sahti is a farmhouse ale, a living beer, a real ale if you will, made to be consumed within weeks from brewing. 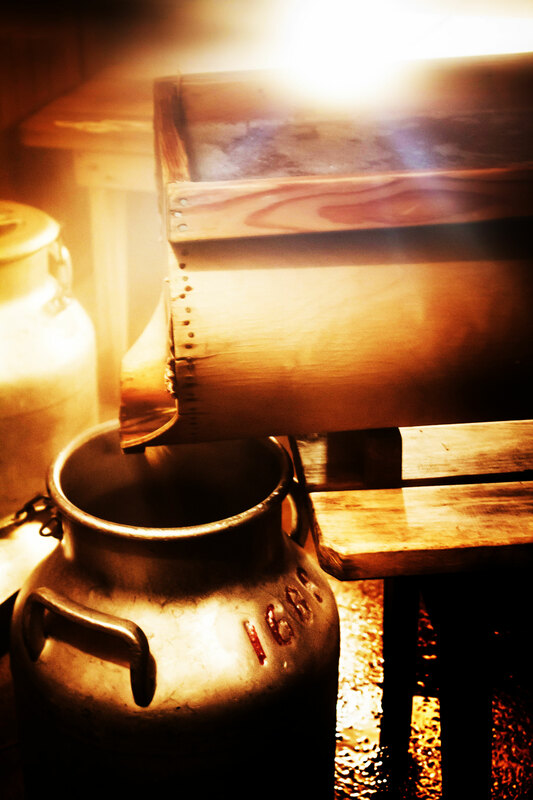 It’s also a true craft beer: handmade, no modern equipment, a wood-fired cauldron, the senses of the brewmaster our only gauge. 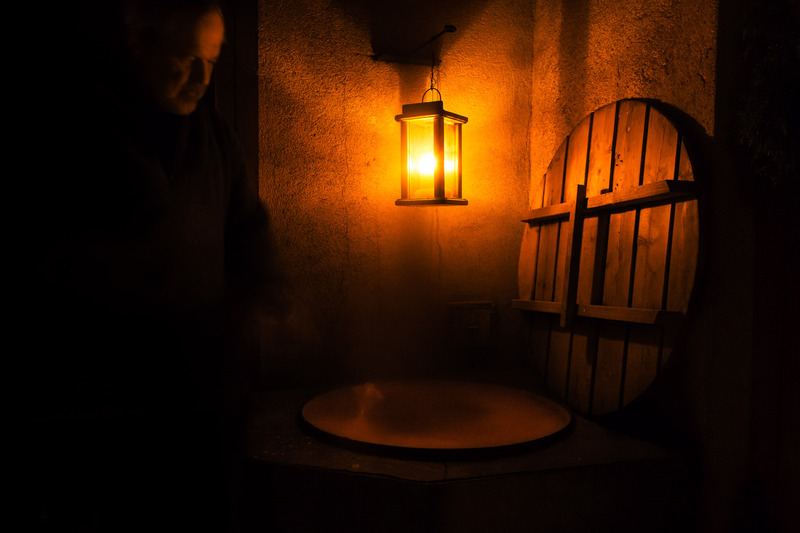 To taste the tradition, we will join a sahti mage on a brew day in Joutsa, Eastern Häme, Finland. But first, let’s look at how it all comes together. We will brew in the sauna, which has traditionally doubled as the brewhouse. 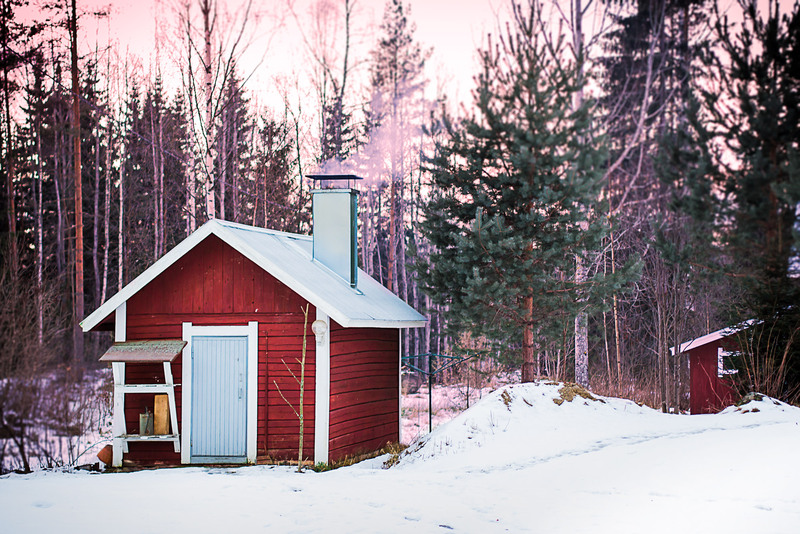 In the olden times, sauna was also the malt house, the smokery for Finnish palvi meats, and a place to give birth, among other uses. After WWII, many people lived in saunas for a while as nothing else was left. 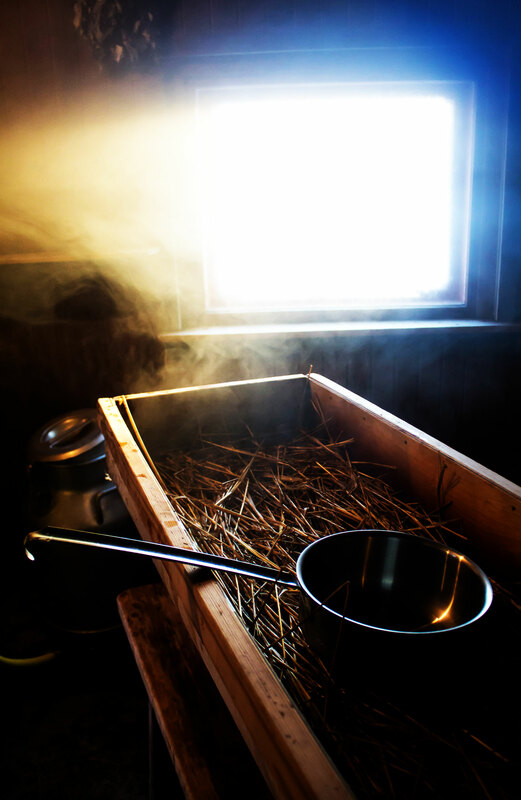 We’re the lucky ones to get to only relax (and brew) in sauna. The brewmaster will test the temperature with his finger, judge the water-to-grist ratio by the looks, decide water additions based on how the color is developing, sparge until it feels right. It’s not hard to imagine the brewmaster was a sort of a mage to people who didn’t know of saccharification; who couldn’t possibly understand micro-organism such as yeast. Persons capable of changing water to alcohol have been known to enjoy a god-like status before. A small amount of wort is run into a smaller container and cooled. The brewer will take a small amount of yeast and mix it thoroughly with the starter – until bubbles form. It’s time to pitch. Sahti will take two to three weeks to complete fermentation at a cellar temperature, perhaps one week when fermenting warmer.